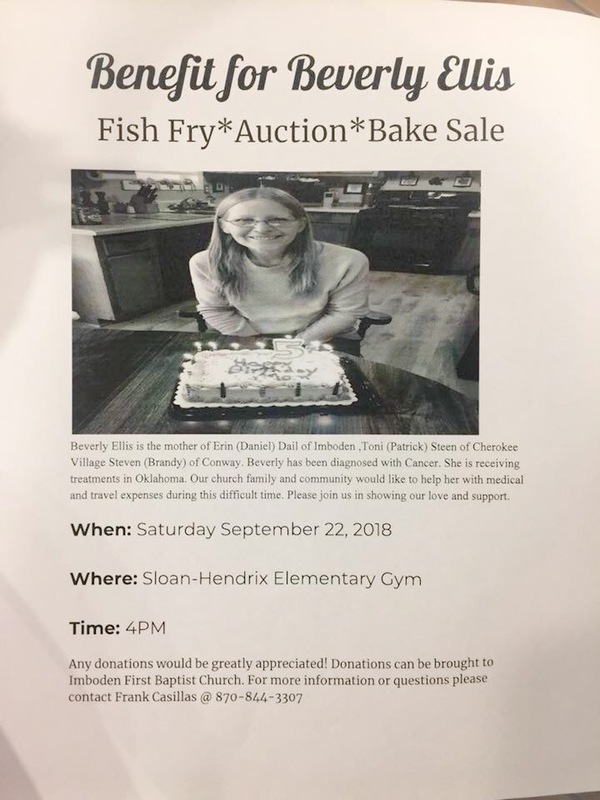 Saturday, September 22nd a benefit fish fry, auction, bake sale will be held at 4 pm at the Sloan-Hendrix Elementary Gym for Beverly Ellis. Beverly was diagnosed with cancer and is receiving treatments in Oklahoma. The benefit proceeds will go to help with medical and travel expenses.